This year Fansite Festival will be on Sunday, April 15th. It's coming up fast and I hope you're all as excited as I am! If you aren't sure what Fansite Festival is, it's an entire day full of events on Pirate101 and Wizard101 organized by @SheldonCentral! You can read more about it by clicking the link above. Anyway, this year Edward from ATSWEL and I have decided to mix things up from the NXP events we usually have. This year we are inviting all players, new and old, membership and no membership, to join us by making a new pirate and having a huge questing party through the free to play areas of Skull Island! 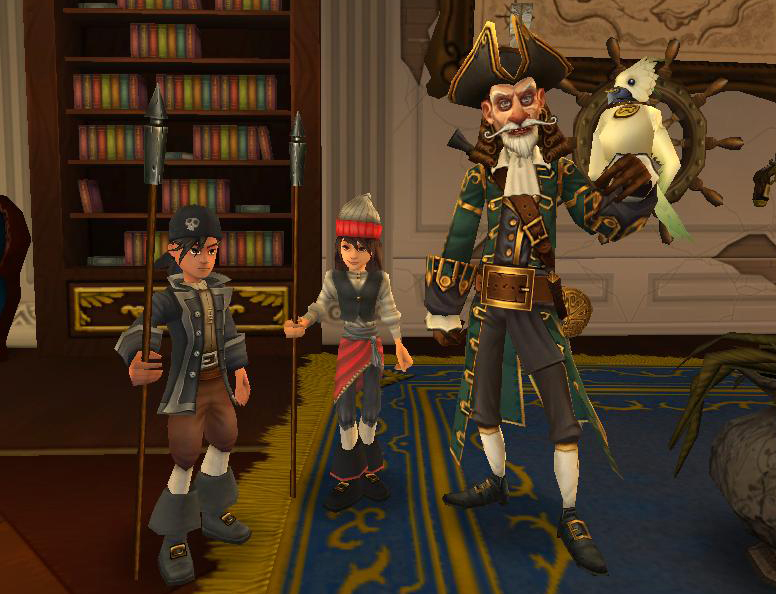 We will be helping Captain Avery by fighting off troggies and sharks and collecting valuable treasure for him! After Avery rewards us with our own "ship," around level 4 or 5, we will head out into the Skull Island Skyway to do some NXP leveling! That's right, an NXP event featuring only rafts! And to add to the fun, we will be streaming the entire event! Keep reading for more details. Follow the official FanisteFest Twitter account! before the day of the event! Try to create your new pirate before the event starts so that we can all jump right into questing on the day of the event. There is also a short tutorial to go through as well, but remember to stop when you reach Avery's office so we can all quest together! This event will be a great way to try out a new game you may not have tried before, or start over fresh and get that "new pirate" nostalgic experience. This event will be a lot of fun and I hope to see you all there!